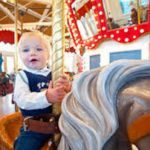 While attending an amusement park can be highly enjoyable, locating the best rides to increase this fun factor can be challenging. Amusement parks generally separate their rides into two categories, the thrill rides and the child-friendly rides. Currently, one of the most popular thrill rides is that of the tagada amusement park ride. This article will provide some information on the tagada ride to ensure one is making the correct choice for specific needs. 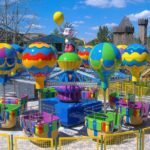 What Is A Tagada Amusement Park Ride? The tagada ride is also known as a disco tagada or disco turntable ride. 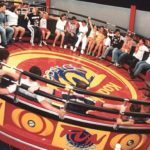 This is due to the fact that the unique design can be compared to a rotating disco floor. The tagada ride is composed of a round bowl and a platform created by brightly colored fiber glass fittings. Unlike many other thrill rides, the riders will be placed on seats around the inner edge of the bowl. The riders are not strapped in and hold onto bars along the bowl while the platform spins. 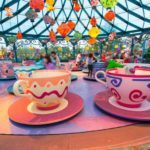 How Does A Tagada Amusement Park Ride Operate? 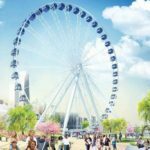 The ride is powered by an engine placed underneath the platform, which also presents with a rotating central disc. To ensure the platform does not fall, there is a strong steel disc placed underneath the full extent of the ride. The tagada ride is generally operated by a trained technician. This is to ensure that the speed is appropriate and can be adjusted according to the riders’ behavior. 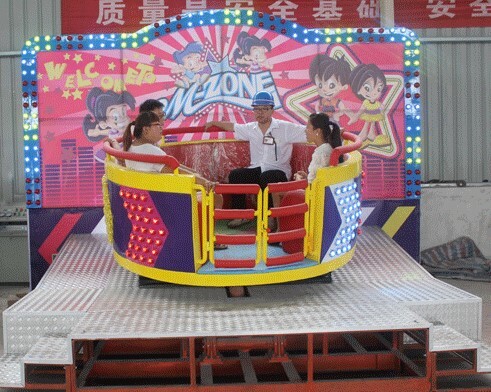 As is mentioned above, the ride itself is created from high quality fiber glass reinforced plastic. This will ensure that the design is secure and suitable for all riders. 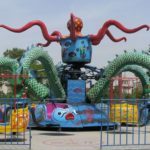 Is The Tagada Amusement Park Ride Safe? One of the most hazardous features of this amusement park ride is the lack of straps on the seats. In order to sit securely, it is necessary for the individual to hold onto the bars provided which can be risky if the individual is unable to do this. To ensure that the risk is reduced, the ride presents with an age restriction and is available to teenagers and adults exclusively. It is also recommended that individuals do not walk across the platform when the ride is in motion. What Are The Benefits Of The Tagada Ride? The tagada ride is one of the most popular options as it presents with a brightly colored unique design, including high quality music. In addition to rotating, the ride also presents with vibration which only increases the enjoyment of the ride. It should also be noted that the safety feature is managed by using a manual operator. What Are The Disadvantages Of The Tagada Ride? One difficulty the tagada ride displays is the lack of seating safety. While it has been based on previous designs and risk is reduced, there is the potential of injury caused by insecure seating. Another disadvantage is the bright lights, which make it unsuitable for individuals with photo-sensitive epilepsy. 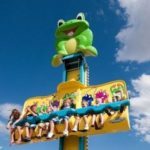 Why Do Children Love The Frog Hopper Ride?